A few days ago, we started to hear about Google starting to block the use of uncertified Android devices from being able to install apps and services via the Google Play Store. This meant that apps like Gmail or even Google Maps were out of reach for anyone using a device that has not been blessed by Google, and while you may think that just covers hardware built by no-name Chinese brands, it also includes anything carrying the Amazon Kindle/Fire name, too. 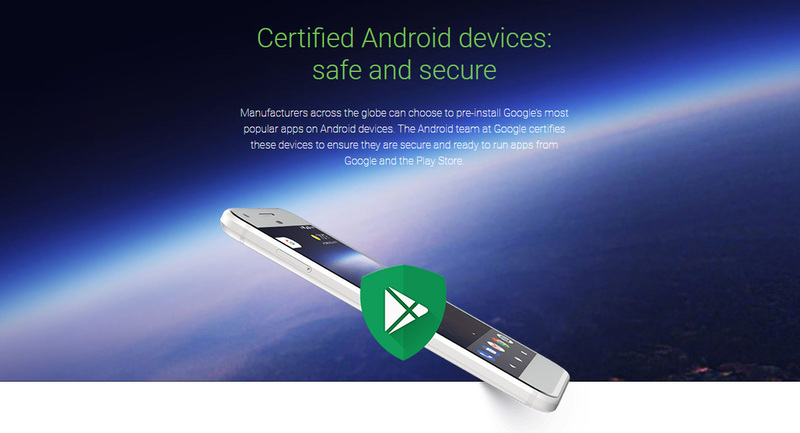 If you have a device that presents a “Device is not certified by Google” warning, then your options are limited, but that does not mean they are non-existent. To start off with, let’s check whether your device is certified or not. It’s a simple process, so here goes. Step 1: Open the Google Play Store on your device. Step 2: Open the sidebar menu. Step 3: Tap on the Settings option. While Google does have a webpage up that will allow people to apply to have their system’s granted access, this is mainly for use by ROM creators rather than end users. However, that doesn’t mean that you cannot jump on the bandwagon, too. Step 1: Find your device’s GSF Device-ID. You can do that by downloading an app called “Device ID,” which will no doubt need to come from a mirror such as the link here, seeing as you likely cannot access the Play Store if you’re reading this! Step 3: Convert the hexadecimal ID to decimal using any online converter such as the on at rapidtables.com/convert/number/hex-to-decimal.html. Step 3: Go to Google’s website for registering devices. 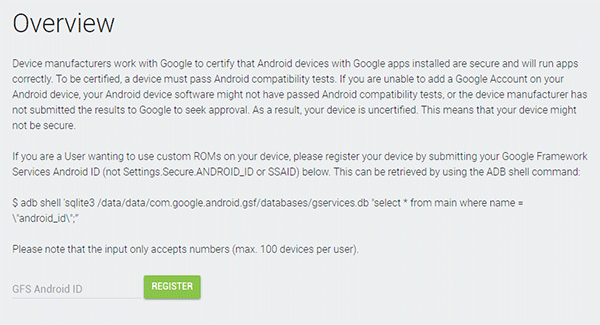 Step 4: Enter your newly found GSF Device-ID into the Android ID box on the website. Step 5: Tap the Register button and your ID should appear on the page. This should get you rocking and rolling again, although it’s still early days for this process, so your mileage may, unfortunately, vary.